The University’s Imaging Facilities incorporates MRI and PET modalities and now also includes a PET-MR scanner, the first in the North West. Previously, MR scanning was managed via the University’s Magnetic Resonance Imaging Facility or MRIF. The Facilities, which are part of the University’s Division of Informatics, Imaging and Data Sciences, own three MRI scanners, the newest of which is the 3T Philips Achieva system based at the clinical research facility (CRF). The other two MRI scanners are based at Salford Royal NHS Foundation Trust (3T Philips) and the Wolfson Molecular Imaging Centre (1.5T Philips). The Imaging Facilities (MRI) are staffed by experienced and fully qualified radiographers and two MR physicists, who act as an interface between clinical research and imaging science. The Facilities provide access to and support for clinicians and scientists, who wish to use MRI techniques as part of their research. Information about how to access the 1.5T MRI scanner at the Wolfson Molecular Imaging Centre can be found on the Imaging Facilities website. 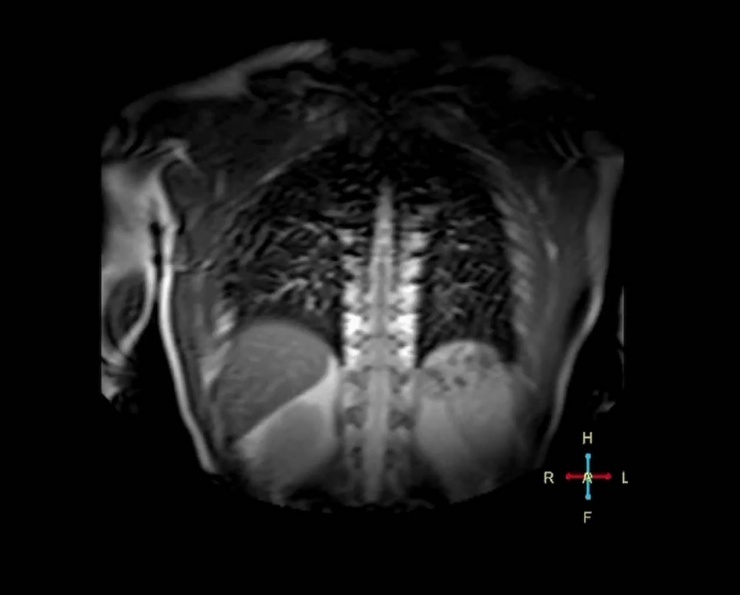 The Imaging Facilities can sometimes provide time on the University’s MRI scanners (3T at Salford Royal Foundation Trust; 1.5T at Wolfson Molecular Imaging Centre; and 3T at the NIHR/Wellcome Trust Manchester Clinical Research Facility) for strategic development projects by way of an MR imaging grant. If you would like to collect pilot data or have a small amount of scanning which you would use to advance methodology or novel scanning techniques, you may be eligible to apply for an MR imaging grant for time on the MRI scanners free of charge. PLEASE NOTE – AT PRESENT (AUGUST 2017), THE IMAGING FACILITIES ARE UNABLE TO SUPPORT ANY MR IMAGING GRANT APPLICATIONS. IT IS OUR INTENTION TO REOPEN THIS IN THE 2017/18 FINANCIAL YEAR. MR imaging grants are designed to support development of the MR research community and in particular the development of novel scanning or analysis methods. This may include the development of methods which are well-established elsewhere but which are not used within the University’s imaging facilities. It may also include application of existing techniques to novel experimental designs. Please note that MR imaging grants can only provide time on the scanner, and cannot provide any other support (data analysis, staff support, other scanning modalities). Contrast injections are currently charged at £50 per injection. The Imaging Facilities also has ethics approval to undertake protocol testing and optimisation on the University’s scanners using healthy volunteers. These scans are usually free of charge, and limited to 5 hours per protocol. Please note that this time must not be used for data collection or to support publications. In order to access this facility, please send a one-page description of what you require to Barry Whitnall and Sarah Wood, +44 (0)161 906 7501. There are two PET scanners at the Wolfson Molecular Imaging Centre; a Siemens True-V PET-CT scanner and a Siemens/CTI HRRT PET brain scanner. The Imaging Facilities offer a fully integrated co-registration service. A professional partnership between Manchester Heart Centre and Manchester CRF allows us to provide British Society of Echocardiography (BSE)-accredited Physiologists to support both adult and paediatric research within the Facility. In addition, our team provides ultrasound services to a number of cardiovascular studies, including those involving assessment of Carotid IMT, Rheumatology and Fistula imaging. If you would like to arrange a visit to see the Facility and discuss what we could offer to your study, please contact our research studies team ( +44 (0)161 906 7517).